18-wheelers require careful maneuvering on roads and highways. A minor negligence from the driver can result in a truck accident, which can cause financial and property losses, and sometimes even serious injuries and fatalities. Yet, each year, hundreds and thousands of truck accidents are reported statewide and nationwide. In recent years, National Highway Traffic Safety Administration (NHTSA), has upped its efforts, working day and night with Texas Department of Motor Vehicles and DMVs of other states, to make 18-wheelers safer – therefore, ensuring roadway safety. This involves addressing all the factors that contribute to truck accidents, among which the most common is overloading. According to a crash statistics report, released by Texas Department of Transportation, in 2016, a total of 506 truck accident occurred, because of the vehicle being overloaded. Out of these 506 reported incidents, 2 involved fatalities, 5 were incapacitating crashes, 20 non-incapacitating crashes, 28 possible injury crashes and 27 crashes with unknown severity. NHTSA has instructed Texas Department of Motor Vehicles and other DMVs, to make sure that all trucks should strictly adhere to weight limits, which has been set at 80,000 pounds. Any truck driver or company that has the need to go beyond the legal weight limit, must apply for an overweight permit at their respective state departments. Truck drivers and companies, continue to exercise ignorance (although the numbers are decreasing with each passing year), overloading their vehicles, just so that they can increase the efficiency of their delivery operations, whilst ignoring public safety in parallel. How Overloaded Trucks Can Cause Accidents? Cargo can fall out of the truck, while maneuvering or due to high wind speeds. The fallen cargo can cause accidents on roads and highways. An overloaded truck has more momentum, which can make it difficult to stop. This can again result in injuries and accidents. Due to overloading, the axles of the truck may break, causing the driver to lose control over it, which may result in a serious accident. Sometimes, if the truck is in speed, and the axle breaks, the truck may even topple over. An overloaded truck, is at an increased risk of tire failure which can again endanger the safety of other vehicles and passengers. As the citizens of this great nation, it’s our responsibility to make sure that we abide by the rules and laws set by the government. If you are a truck driver, a lorry inspector or the owner of a transportation company, it’s your responsibility to check that the truck is not overloaded beyond its capacity, before sending off the fleet for operations. If we will act responsibly, we can play our role in helping to curb the number of truck accidents to bare minimum. 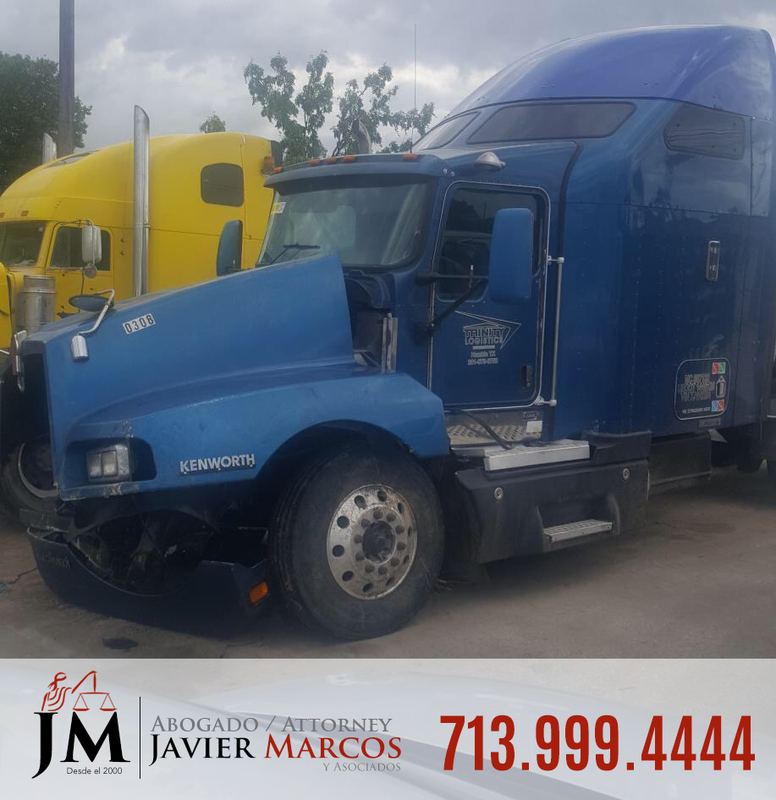 At Attorney Javier Marcos , we help and legally assist clients who have been injured or affected in a truck accident, caused by overloaded trucks. We have an experience of more than 15 years and we can help you get a compensation. If you have lost a beloved one due to a truck accident, we cannot help fill the void, but we can help you get justice that just may ease the pain and suffering that you had to endure. For a free case evaluation, please click here.